Archangel Metatron and Archangel Haniel connect with an empowering and uplifting frequency alongside pertinent angelic guidance for us at this time. Simply breathe, relax, and listen to tune into the love, light, and message from these powerful Archangels. 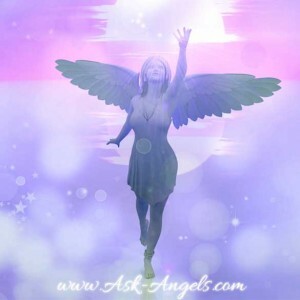 You will receive a cleanse of your intuitive guidance system, along with the blessing and message from the Angels, Ascended Masters and Saints who are with you and assisting you in your journey through life. ~ 18 min channeled message with an additional 10 minutes of meditative music at the end. ~11 min channeled message with an additional 2 minutes of meditative music at the end. Both of these angel messages are channeled by Melanie and set to the beautiful meditative music of Thaddeus. These meditations are now available as a part of the Ascension Meditations Pack which you can access by Clicking Here! can you plz tell more about it. how to listen to both? alternately? the second one will it increase my intuition? and what will the first one do? the word high vibrational is a lil bit scary. and as we get attuned in reiki its different…they put symbols on us. how do we get attuned to high vibrational energy in first meditation…. can we listen them alternately? or only second one to increase intuitive guidance?